회사소개| 카오산 그룹： 일본에서 제일 큰 호스텔 그룹입니다. 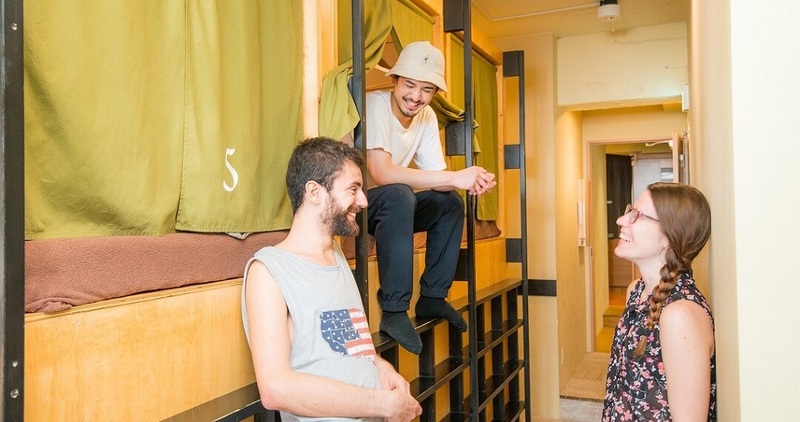 Since its foundation in January 2004, Manryo Co., Ltd. has opened 9 branches of its “Khaosan”-branded hostels all over Japan (including Tokyo, Osaka and Kyoto) and is currently operating as the biggest Hostel operator in Japan. In 2016, Khaosan was voted the No. 1 “Best Small Hostel Chain in The Hoscars”, an award handed out by “Hostelworld.com”, the biggest Hostel Booking Website in the world. Thinking of branch development as a form of entertainment, existing properties such as love hotels, restaurants, sanatoriums and vocational schools have been renovated and reformed into hostels, each with their own individual concept. As hostels are still mostly known as accommodation for backpacking foreign visitors in Japan, Manryo is developing and operating its hostels in the hope of creating a community of global travelers, from Japan and abroad, with various backgrounds, travelling alone, as a group, with family or friends, or for business, spending a great time together. Company Name: MANRYO Co., Ltd.